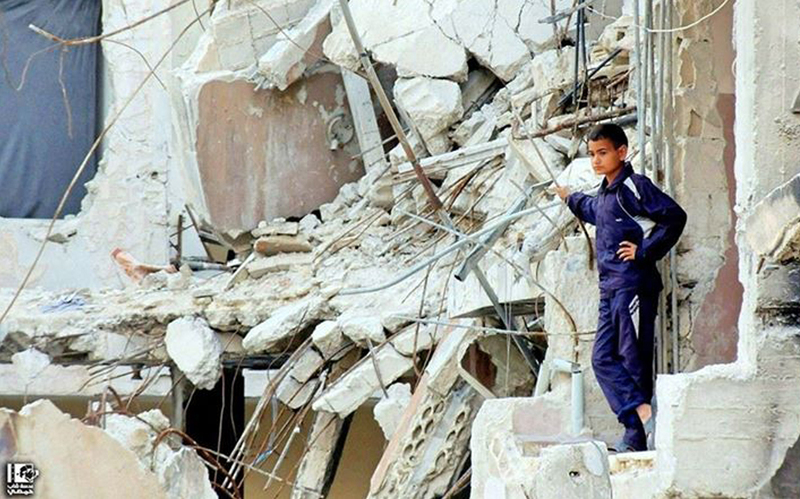 Al-Wa’r neighborhood has been under the Syrian regime’s suffocating siege since 10 October, 2013. The Syrian regime is using siege, as a method of warfare, to exhaust the neighborhood residents and impose enforced treaties and agreements. The Syrian regime’s checkpoint bans the entrance of any sort of food, medications, or fuel except on extremely rare occasions through pressure or blackmailing. The Syrian regime has escalated its military campaign against the neighborhood since Saturday 4 October, 2014 when it targeted an elementary school in Ikerma neighborhood, which is known for a majority of residents that support the Syrian regime. From 4 October, 2014 until 11 November, 2014, government forces have killed 48 civilians at least including seven children and eight ladies according to SNHR. On Saturday 8 November, 2014, a ceasefire agreement was agreed upon by the rebels, who is controlling the neighborhood, and the Syrian regime on all fronts except on one battlefront located in Al-Jazeera As-Sabe’a in the neighborhood. The agreement was proposed by UNHCR and under the sponsorship of the ICRC and the Syrian Arab Red Crescent (SARC) where about 12,000 food bags will be delivered to the neighborhood. On Sunday 9 November, 2014, at approximately 1:00 PM, government forces violated the agreement and targeted the neighborhood with mortar and tanks shells. The bombarding aided by the snipers who were stationed on the residential towers surrounding the neighborhood. The bombarding killed three victims and wounded more than five others. This violation forced the aiding convoy to go back without finishing its mission.